Will campus activism reach the C-suite? “Something’s brewing on college campuses that soon may affect corproate sustainability professionals in all industries. “During the past year, a groundswell of action demanding that college and universtiy endowments sell their holdings in fossil fuel companies has brought environment, social and governance (ESG) issues to the fore. Driven in part by 350.org, the fossil fuel divestment movement has sprung up on more than 300 campuses and is spraeding to cities, faith organizations and beyond. The latestes news: Sterling College – a small, private liberal arts college in Vermont – has completed its divestment from the fossil fuel industry. While Steriling is small, with only about 100 students and an endowment of approximately $1 million, it provides more evidence that divestment is pssible and relatively straightforward. Common initial concerns about divestment include that it is costly, complicated and requires investors to sacrifice returns. To divest, Sterling College chose a fossil-free option that Trillium Asset Management has offered clients for over a decade. ‘Those who say divestment is not possible haven’t done thier homework,’ said Matt Patsky, CEO of Trillium. Trillium’s fossil free option replaces screened companies with similar investment characteristics (e.g. similar beta and return on equity). The result is a fossil-free option that doesn’t sacrifice returns. 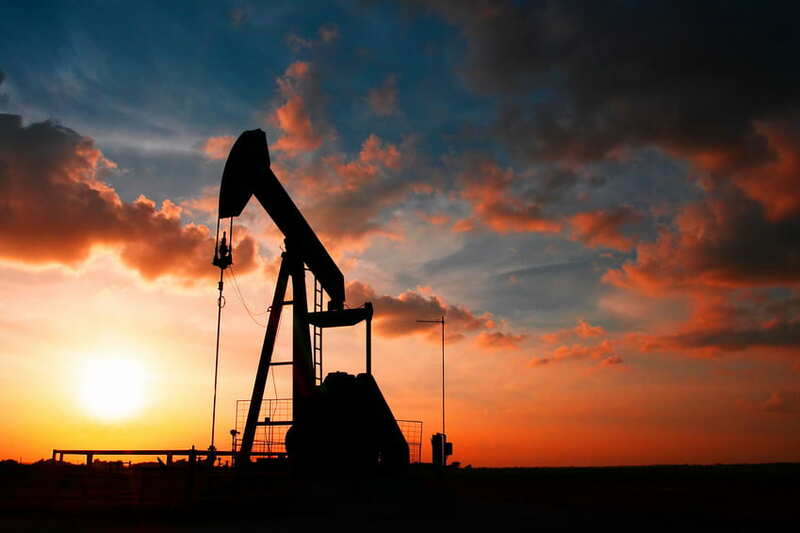 Recent reports from Impax Asset Management, MSCI and Aperio Group support the claimt hat removing fossil fule investments from portfolios has a negligible impact. Sterling is one of just six colleges to commit to divestment to date, along with Hampshire, Unity, Green Mountain, San Francisco State and College of the Atlantic. But many others are considering it. Divestment proponents recognize the fossil fuel companies are unlikely to stop mining and drilling because soem investors sold their shares – others will buy them. But the movement highlights this moral paradox. And even if no other schools divest, it has sparked conversations on campuses across the country about a range of other ESG investment strategies. And this could have dramatic implications across all industries – not just the fossil fuel companies. Every company currently has some responsibility, in one way or another, for greenhouse gas emissions and a wide range of other sustainability challenges such as water use, toxic chemicals, and labor and human rights issues. But those that are proactively implementing strategies that help move society towards sustainability can avoid risks and seize opportunities for innovation, attracting top talent and enhancing shareholder value. Increasingly, investors seek out companies creating sustainability solutions or driving best practices in social, environmental and governance realms. Companies that don’t make the cut from an ESG perspective risk limiting their pool of potential investors. Fewer buyers and more sellers can hurt stock performance, a key driver (for better or worse) of corporate decision-making. Investors influence corporate executives and directors. *ESG investors look to sustainability indices, such as the Dow Jones Sustainability Indices and MSCI’s ESG Indices, to benchmark and inform investment decision-making. *As more asset managers incorporate ESG factors into their investment decision-making, and sell-side analysts do the same for their buy/sell ratings, companies increasingly will be judged on their sustainability performance. *Asset managers (and their clients) that understand the benefits of ESG investing often engage directly with companies through various forms of shareholder advocacy, providing direct pressure to improve sustainability performance. A recent survey from Oekom Research supports the idea that sustainability investing impacts corporate strategy: Nearly two-thirds of the companies said requests from sustainability rating agencies were a decisive factor in tackling sustainability issues. One-third said enquiries from sustainability analysts influence the overall strategy, and two-thirds said they influence their sustainability strategies. As college and university presidents, business officers and board investment committee members look more closely at these issues (thanks in large part to student pressure), they will realize that ESG factors are materials and can undercover hidden risk and value. By requiring traditional asset managers to step up their game on ESG factors, they will help drive more of the financial services industry to consider sustainability issues in all investments. The shift to sustainability will be the result of the sum total of many companies, organizations, communities and individuals implementing bold, transformative strategies, through incremental step-wise actions. Institutional investors sit at a critical place to drive and accelerate this process. Imagine a virtuous cycle where Wall Street analysts, currently focused on short-term, quarterly earnings results, shift their attention to comprehensive ESG considerations. This will motivate corporate execs to improve sustainability performance to enhance their ratings and stock price, driving healthy competition and moving whole industries toward sustainability. Share Your Ideas for Recycling, Reusing, and Reducing! Do you have any suggestions, practical ideas, creative usage or other ideas on how to reduce your consumption of ‘stuff’, reuse/recycling the ‘stuff’ you do have in new ways rather than throwing it into the trash to go live in a landfill? Buy a reusable water bottle and refill from the Union’s ‘hydration station’ or any water fountain. Saves money, reduces plastic waste, reduces oil usage (come to see “Tapped: The Movie” at the EMBI Green Innovations Conference on April 19th – it’s free! – and informative). Make sure you use the duplex setting when you print – save some paper – and be sure to recycle the paper in the proper bin when it’s ready to go. Earn some cash for your old electronics – visit Gazelle.com to see if you can sell them your old iPhone, x-box, or other electronic items. What are your ideas – do you have one simple idea you can share? 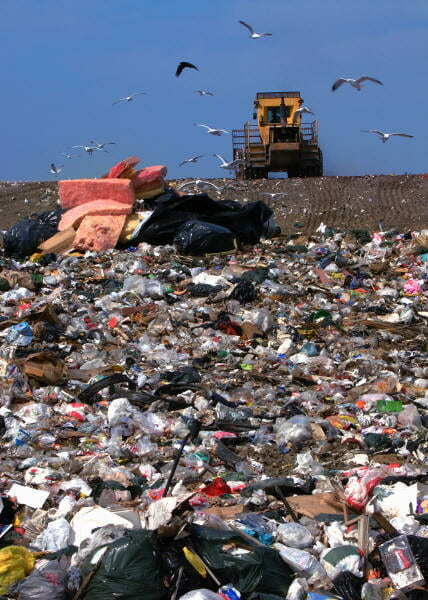 In WISCONSIN, we generate 4.6 million tons of trash and recyclables each year. That’s enough to fill a typical city street over 4 feet deep with trash (curb to curb) for 575 miles! If you remove the recyclables, only 357 miles would be filled with trash. In the UNITED STATES, we generate enough trash and recyclables each DAY to fill 72,450 garbage trucks that hold 9 tons of trash each (which means 26,444,250 garbage trucks in a YEAR). Recyclables would fill 27,531 garbage truck each DAY. The average person in WISCONSIN generates 4.7 pounds of trash (residential and their share of commercial trash) each day and recycles 1.9 pound of that trach per day. 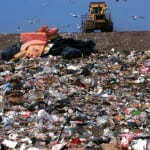 The average person in the UNITED STATES generates 4.7 pounds of trash each day and recycles 1.4 pounds of that trash per day.